Tuesday, November 28, 7:00 p.m. 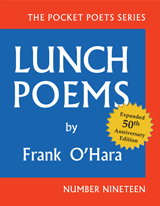 Poet Bill Berkson explores the life and work of O’Hara (1926-1986) in the year 1956, at the time of his thirtieth birthday, when he was preparing the manuscript of his first major collection, Meditations in an Emergency. 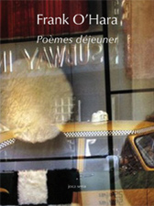 Bill Berkson is a poet, critic, teacher and sometime curator, who is the author of sixteen books and pamphlets of poetry, including the recent collections Serenade and Fugue State. 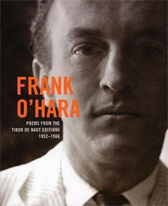 During the 1960s he collaborated with Frank O’Hara on Hymns of St. Bridget & Other Writings. He teaches at the San Francisco Art Institute. Tickets ($7; free to members of Poet’s House, the Poetry Project, and MoMA) are available at the door on the evening of the program. For more information please call (212) 431-7920. Wednesday, November 29, 8:00 p.m.
Tickets ($8; $7students and seniors; $5 MoMA members; free to Members of Poet’s House and the Poetry Project) are available at the door on the evening of the program. For more information, please call (212) 674-0910. 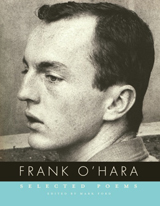 Frank O’Hara worked at The Museum of Modern Art on and off for fifteen years—first selling postcards, then curating exhibitions, writing catalogue copy, and composing poems during his lunch hour. This program features poets John Ashbery and Bill Berkson, artist Alfred Leslie, and Museum Archivist Michelle Elligott as they share their memories of O’Hara and his love for poetry and art during his time at MoMA. Selected archival material from the Frank O’Hara Papers, such as correspondence, handwritten notes, and installation photographs, and printed materials such as illustrated books of poetry and exhibition catalogues, will be on view in the Library and Archives’s new Reading Rooms. Tickets ($10, MoMA, Poets House, and Poetry Project members $8, students and seniors $5) can be purchased at the lobby information desk and the Film and Media desk, or online at www.ticketweb.com. Click link to listen or right-click link (or option-click on a Mac) and select “Save Target As…” to save the file to your hard drive.